Stadsmakerskist is a set of physical modular blocks to make things in the public space. Delivered to you by the municipality on request, sponsored by rest material of businesses. 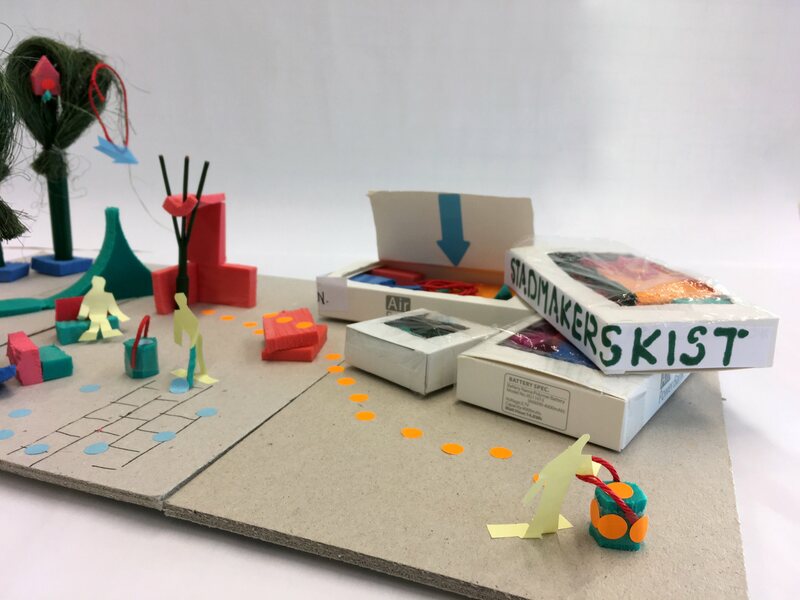 The prototype of the Stadsmakerskist (city makers’ kit) is comparable to a scale model of the tool itself and its context. The prototype is a scale model of a “city making box/kit“. This is a box containing a selection of physical objects made available in public spaces by the municipality. The objects are used by citizens in order to realise 1:1 prototypes of co-created futures in public space itself. The material is modular and preferably donated by local businesses.